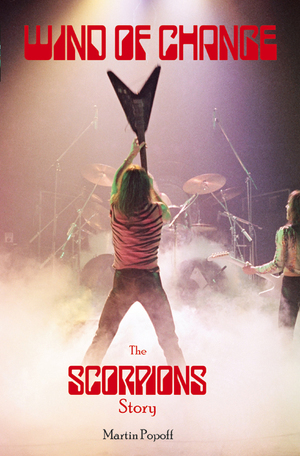 No question Scorpions, Germany's loudest and proudest rock band ever, have been one of that country's most successful musical exports. Wind of Change documents the band's career with analysis of every song on every album the Teutonic tone-masters ever crafted.Beginning with Lonesome Crow back in '72 through to the triumphant "retirement" album Sting In The Tail, and beyond into Comeblack - the stories of their making are all here. Wind of Change draws on the authors interviews with all of the principals and beyond, including Klaus Meine, Uli Jon Roth, Herman Rarebell, Rudolf Schenker and Matthias Jabs, along with the likes of legendary manager David Krebs, Michael Schenker and Francis Buchholz.